This is a spin off from The Parasol Protectorate Series. You could probably read this without having read that series, but why would you want to? 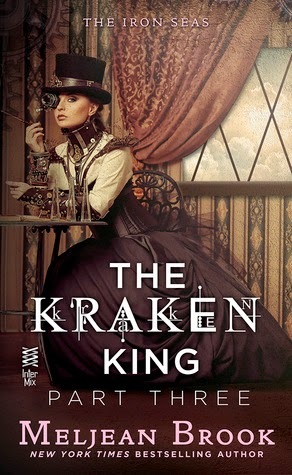 It’s got steam punk and gaslight elements with all sorts of supernatural creatures, and manners, it is quite the most mannerly steam punk series to date. Plus, if you don’t read the Parasol Protectorate and maybe the Finishing School series first, I may just spoil them for you. Alexia Tarabotti, being soulless, had to come up with some way to behave in polite society, and manners worked nicely enough. Her daughter on the other hand is an entirely different sort of creature. Rue (and she definitely still hasn’t forgiven her mother for naming her Prudence), grew up to be just as spunky, and funny, and slightly spoiled as I had expected her to. How could she not, having been raised by the most fashionable Rove vampire, the Alpha werewolf, and a soulless mother – yes there were politics involved in that decision, but you are going to have to read the Parasol Protectorate to get that cleared up. Primrose, on the other hand, grew up to be no where near the flibbertigibbet her mother was. And Quesnel grew up to be quite a rake, though that’s hardly a surprise as he is after all, French. When Lord Akeldama gives Rue a new dirigible and a mission for new tea in India, a precipitous leave taking due to a fashion emergency leaves our intrepid heroines in the lurch as far as information. Rue is well on her way in espionage, like her mother, though she doesn’t precisely know that. Rue and Primrose have mad cap adventures, intrigue, and disasters. And they discover the world isn’t quite what they were led to believe, and that with adventure comes responsibility. That sounds rather staid, but frankly, this book is charming, and for the most part so is Rue. It is sort of like the film The Avengers, except charming instead of irritating. Rue and Prim put on these ridiculous characters, for the most part, knowing they are being ridiculous but not caring so long as it obtains their ends. Overall, I really enjoyed this story, and I think the travel angle was an excellent choices so the reader could learn about Rue as an adult instead of merely being bogged down by characters from the previous series. 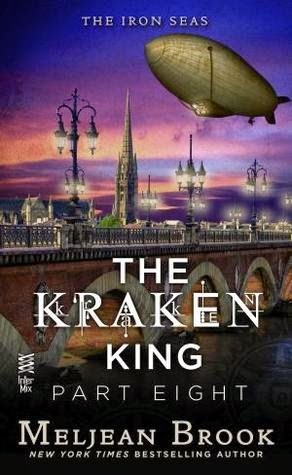 But, I’ll admit, I am definitely looking forward to the next book when Rue will be back in the heart of London. There was also a touch of a romantic element, but nothing that detracts from the story. Zenobia Fox has been a character I have had my heart set on since the very beginning. We have had glimpses of her since the beginning with more information dribbled through the series. For The Kraken King Zenobia has decided to set out on her own (albeit rather tame) adventure. 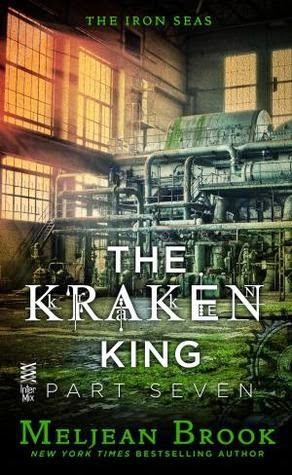 As might be expected, things don’t stay tame for very long, which is how she ends up in the clutches of Ariq, the Kraken King. Because this is a serial, each of the 8 sections definitely have their own beginning, middle and ends, which makes it difficult for me to synopsis. So, I’ll just go with my thoughts and impressions. While I read it straight through, I can see how this would not be as irritating as I have found many serials to be, there aren’t any major hang ups at the end of each section, and each section flows rather neatly to the next. It’s a conundrum how she managed it, but it was nicely done. I love the covers, they are so gorgeous, the titles of each section are extremely clever and cute (but i wish there was some way to have that on the cover). And I adore both Zenobia and Ariq. Most of the plot resolves around the Big Misunderstandings, which normally I hate that trope, but it works well here, they each have legitimate reasons to keep their mouth shut, and with a lack of information of course there are misunderstandings. It works because it wasn’t just that they didn’t communicate, but that they couldn’t always communicate. Even so, their romance was lovely to read and you really got a good sense of these two characters and how their lives might mesh in the future. It was also a very interesting look into Brook’s alternate history, which I find fascinating. 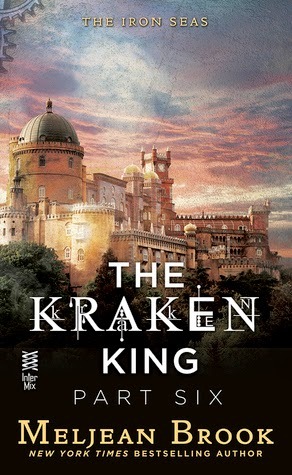 4 stars for a solid Iron Seas Adventure, and while I can’t say this has changed my mind about serials, it may have made me just a teensy bit more open minded about them. 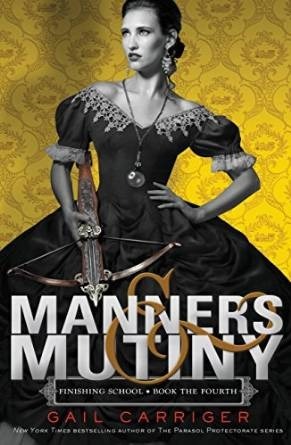 Prudence Worthington is a business minded war widow who intends to make enough money to open her own business school and get completely out from under the thumb of her horrid in-laws. Professor Gerritt Rhinehart is a crazed inventor who eschews the paperwork side of his business in favor of working on his fantastical creations and supporting and developing the entire town. 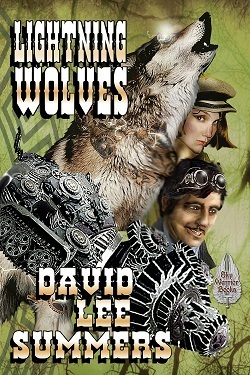 The whole thing is set in a steampunk version of Wyoming in the 1800’s during the civil war. 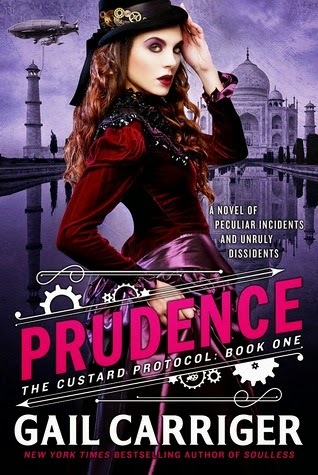 There are mysteries surrounding who wants Garritt’s inventions and who wants Prudence out of town and it wasn’t immediately clear who the villain or villains were. It is a fun and amusing story, and the characters can be quite hilarious, particularly Alma. And I wasn’t bothered by the supposed character transplant as the story went along, because to me that was sort of the point, neither one of them were really the character they tried to present to the world, so it made sense they would try to show their true selves to one another. 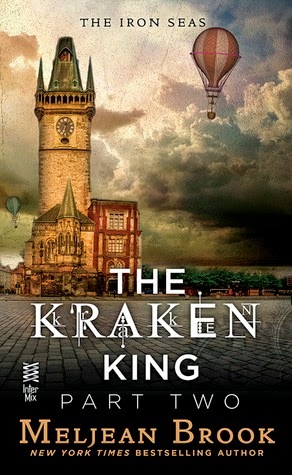 The thing that did bother me was that the steam punk elements seemed to be more of a plot device or a sop to enter a less crowded sub-genre than an integral part of the world building, as there was really very little mention of curiosities being used in everyday life, and the ones mentioned were sketchily rendered to the reader. Additionally, the addition of the paranormal element three quarters of the way into the book was a bit startling. It will be interesting to see how that might play out in future books. 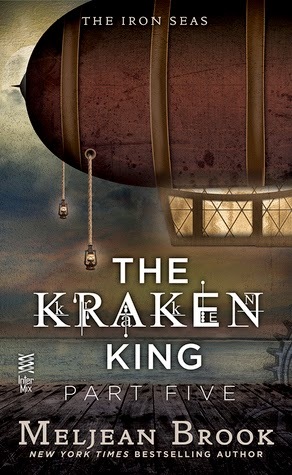 Overall I enjoyed this book, and the adjective that first comes to mind is “rollicking”, it just didn’t blow me away like Meljean Brook’s Iron Seas series, but then few books are likely to reach that level so it probably isn’t a fair comparison. 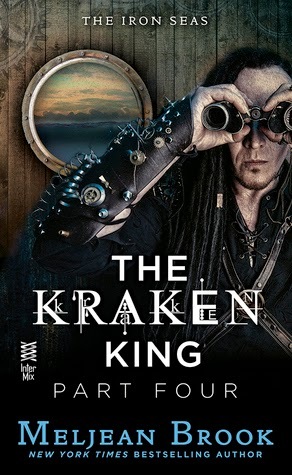 And, while I should have known from the blurb, this was really more historical romance than steam punk.